Growing your Customer Lifetime Value is such an essential element to growth. CLV (Customer Lifetime Value) is the most important metric that a lot of companies ignore. So many businesses in this day and age are obsessed with new customers instead of looking to upsell, cross-sell and downsell to their existing clients. In business, the key to success is to work smarter and not necessarily harder to grow company profits. Most people who don’t understand Average Order Value think they need to go out and buy more traffic. This could get you the growth you’re after but it will also increase your expenses. Your net profit may be the same. But what if I told you it was possible to increase your AOV without having to buy more traffic? Well, the way you get these kinds of results is by adding Upsells, Downsells and Cross-sells to your existing client base. An upsell is anything that increases your customer’s spending on your products or services. An easy example of this is if you looked to buy a new GoPro camera then you would try to upsell the memory card and waterproof GoPro cases. Adding these extra products to the purchase will increase sales and profits. Another example is on lead generation that if someone wanted to take out a mortgage then you could upsell services like conveyancing which is needed with every mortgage. Adding this extra service adds to your turnover and profits because not costing you any more marketing as you are already speaking to this customer. A downsell is also something that can increase your AOV, despite having the word down in the name. This technique is used when the customer, for whatever reason, decides to back down from the purchase. In this case, you can offer them a cheaper product, which has higher chances of being accepted. The goal here is to acquire a customer, even if you will not profit as much as possible right away. Your initial upsell might have been asking too much from the client so now you offer something cheaper to add extra revenue to the order. A cross-sell is where you think outside the box and try to connect various niches that can be linked into the initial order you receive. When you use a cross-sell you are simply offering a product that you know your customer will be interested in based on the product they have purchased from you. An example of this is you have received the enquiry again for a mortgage and closed the deal to help a couple buy their first home. The power of utilising your existing database and client base is key to growing your profits. The really great thing about all of these strategies, is they allow you to increase your Revenue without having to purchase more traffic. When you maximize the return you get on your existing customers you are truly getting everything you can out of all you’ve got. If you are reading this and you do not know what your customer lifetime value is and how you can improve it then go and bang your head against the wall before reading on. No, but seriously existing clients should be a huge part to your sales in cross-selling them semi-related services, down selling them products they might need and upselling them a premium addition to their existing purchases. The definition of Customer Lifetime Value is simple: Customer Lifetime Value represents a customer’s value to a company over a period of time. 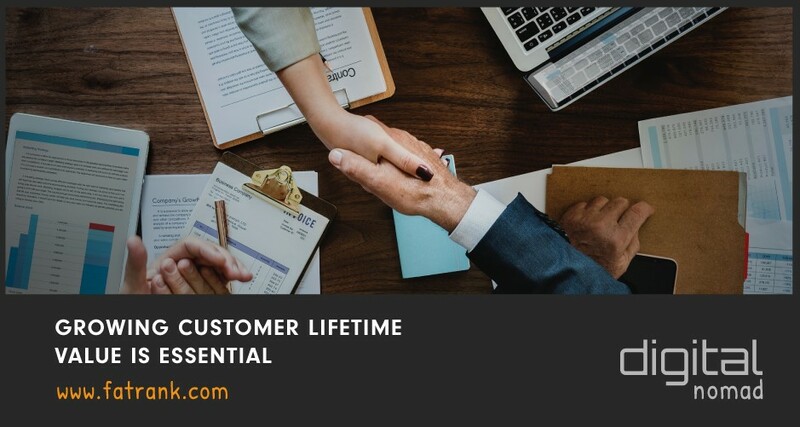 Customer lifetime value is very important because it represents exactly how much each customer is worth in monetary terms, and therefore exactly how much a marketing department should be willing to spend to acquire each customer as they have worked out the average value per client. So if you have a customer come and buy from you, then you never upsell or deal with any after sales you are losing potential further revenue from these and bear in mind they already know who you are and are more than likely happy because they have bought from you before. How to Calculate Lifetime Value of a Customer? So working on this model above a client makes you 12k on a contract and 25% resign so your lowest LTV value there is 15k profit for that customer. The truth is that the 15k is lowest because the year after then another 25% will resign again of your existing client base which would increase the LTV further. This model tells you a client lifetime value is £1300 on average (26 x £50 = £1300). Many marketers only look at the profit margin they make on their first sale but this is crazy because above you can see an average customer is worth £1300 to their business and not just the £50 profit on that first order. Disclaimer: Obviously the average price means some might only have the value of £50 to your company and others could be worth 10k. So please do not work out the cost you can purchase a new client for on this average LTV figure. So Dooley What Commission Would You Pay For a New Client? I have been asked this question a few times recently from close friends who run very successful online agencies. 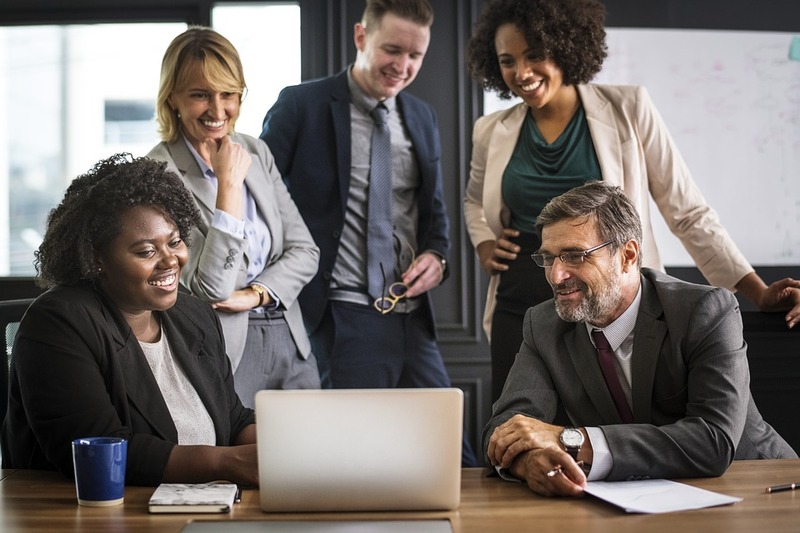 These agencies are looking to grow their client base and see what is sensible figures to work out the CPA of a new client or bonus structure to their staff. I would happily pay the full profit of customers first purchase (so the example above would pay £50 for a new link building client). Which basically on my companies figures means the first order is zero profit and we need to try and get the funnels working for them to rebuy. There is not a one size fits all system though as us humans are all driven differently so it is about working out your staff if hiring inhouse. The reason so many companies fall short on improving their CLV is because they lack the systems and processes. There should be processes in place to upsell, downsell and cross-sell to your clients. 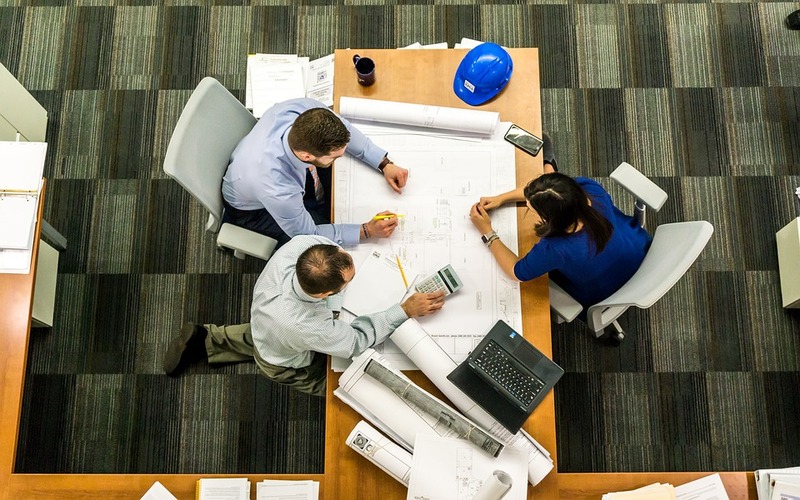 The lack of in-house skills means the business strategy needs to produce actionable plans for after sales or linking services to the initial enquiry. 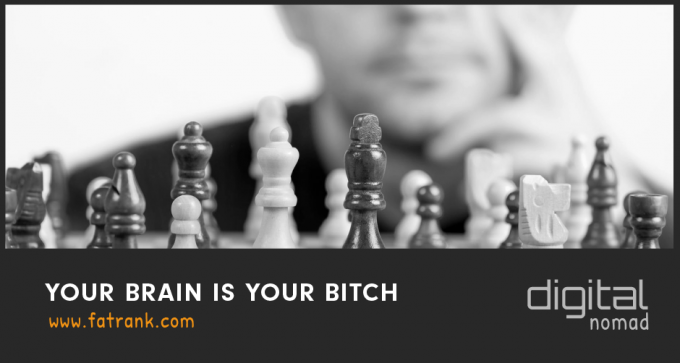 The lead magnets are key because if you start the email, call, text message or outreach with a hard sell then you will burn the bridges before you have even started. Many entrepreneurs swear that real profits are not in the first sale, but rather in the up-sell, cross-sell or down-sell. In fact, these techniques are as old as marketing itself, and most mainstream businesses employ them in one way or another. You need to understand that these techniques take place after the customer is sold. That is, the customer must already have explicitly agreed to buy your product or service before you up-sell, cross-sell or down-sell. You need to be securing your core business first, but the fun begins on what extras you can get which the client is going to be interested in. If you are not up-selling, cross-selling or down-selling, you are probably leaving money on the table, so it might be the time to review your marketing strategy! 2 What is An Upsell? 3 What is a Downsell? 4 What is a Cross-Sell? 5 What is Your Customer Lifetime Value? 6 How to Calculate Lifetime Value of a Customer? 7 So Dooley What Commission Would You Pay For a New Client? This is the best article I have read in years. Will certainly be bookmarking and sending to my mrs and business coach. I love this blog because it has so many different insights into online marketing, but then with actual business advice also. If you carry out any consulting would love to book you once a month for our agency and get my sales team involved in this. Thanks Gary. I am glad you like the article. Cheers Scottie. I know you use this a lot in your role so all good pal. Thanks, James! This helps clarify my exact problem and gives me some great directions. What companies do you think have some great funnels set up? I am in the funnel creation point in my journey. Selling SEO, Lead gen, Links and video through 3 different businesses. Most of my client base is referral right now but I’d like to get more consistency. Every agency have their own bespoke I have found or they just do not have one in the first place which is crazy as leaving the money on the table. Glad you liked the article though.